In an exclusive interview, luge pilot Shiva Keshavan talks to RIR about his intense preparations for next year's Winter Olympics. 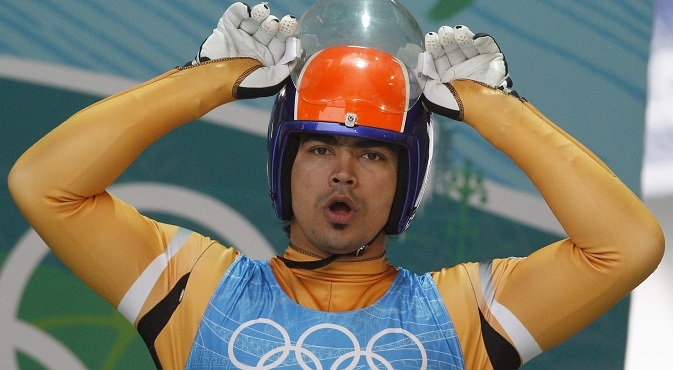 31-year old luge pilot Shiva Keshavan is the name that stands for winter sports in India. The “fastest Asian on ice” holds a top speed record of 149.9kmph. In a nation where winter games have a modest status, he has a singular feat of being a four-time Olympian. Keshavan aims to be ready by the time ice training begins in September in Lillehammer, Norway. The Sanki Sliding Centre in Sochi will be the next step. “It is very important to train on the track on which you’ve to compete in order to acquire a certain amount of familiarity and experience. This is a high speed sport and you don’t have a lot of time just before the event to do enough practice” he says. The Indian star was among the first few international athletes who were invited to test the track last year. “I found the luge facility to be very innovative. The track has a few peculiar technical features. There are three uphill sections which introduce a new challenge and also act as a safety measure.” The length of the track is 1814 metres of which 314 metres are braking zone. “I really enjoyed training there. It’s one of the tracks I prefer,” Keshavan says. In a sport where ranks are decided on fractions of seconds, such a hectic and competitive season poses a lot of logistics and financial overheads. Keshavan’s perseverance over the years has earned him support from the International Olympic Committee (IOC) and the corporate world. IOC has granted him the Olympic Solidarity Scholarship. “I am honoured that the IOC chose me as a part of this programme, which is meant for promising athletes across the world who lack adequate support,” he says. The luge pilot also expresses gratitude towards his primary sponsors, MTS India, the mobile telecom service brand of Sistema. “I think they could relate with the idea of an Indian athlete preparing for Olympics in Russia. They’ve been actively involved in my training and also helping us to procure and develop new equipment,” he says. The city of Sochi appealed to him as well, “Actually I was surprised when I reached there. The flight landed close to the Black Sea and there were palm trees lining the airport area. It felt unlike a venue for a winter specific event. It seemed like a destination good for summers as well,” the athlete, who hails from Manali says. Keshavan is impressed with the facilities in the city that will play host to the Winter Olympics. “It is a bustling town. There is a complex at the centre of the town from where ski lifts head out to various directions in the surrounding mountains. Once you reach there you can just park your car, walk around the beautiful town or take a ski lift. I think the place has very good tourism friendly setup,” he observes.